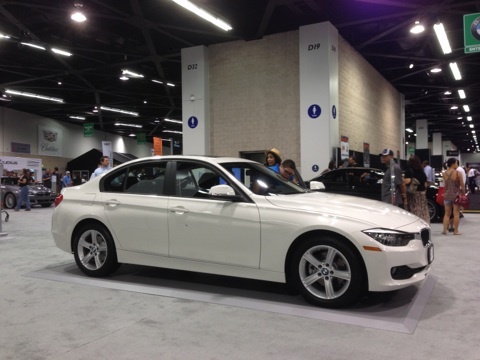 This year we had the opportunity to visit the Orange County Auto Show, showcasing some of the latest and greatest hardware that our favorite marques have to offer. 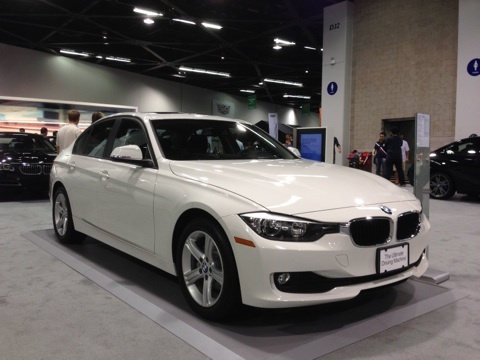 These are just a few of our photos of what we were most interested in at the OC Auto Show this year. 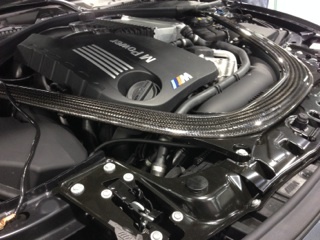 The S55 engine of the new BMW M4 (shown here in F83 Convertible form) is even more gorgeous in person and that carbon fiber piece of bracing really adds a new dimension to the character of the engine bay. 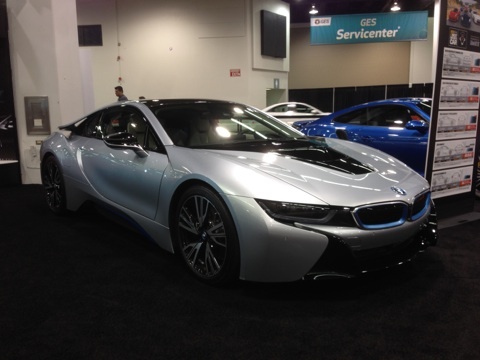 The new i8 on the other hand sat off to the side, somewhat forlorn, which is an odd thing to say about a hybrid supercar. 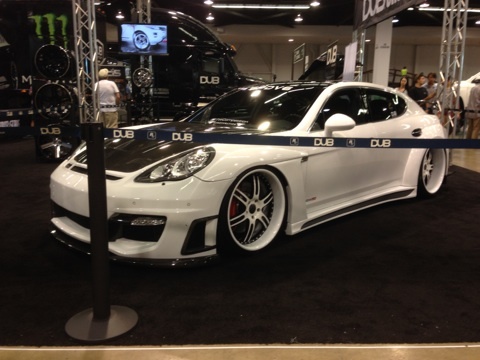 In addition to what the manufacturers themselves had brought out to play this year, a section of the show floor was dedicated to customized tuner vehicles, like this 970 Porsche Panamera, looking anything but stock. 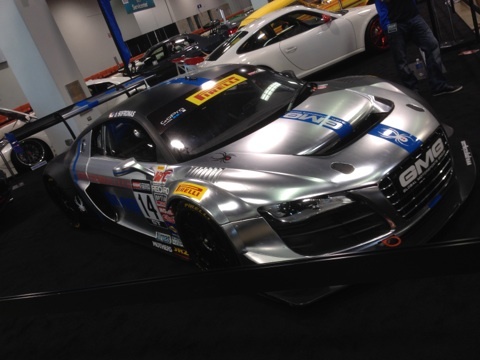 GMG Racing’s Audi R8 ALMS Racer really popped in a brushed stainless steel wrap. 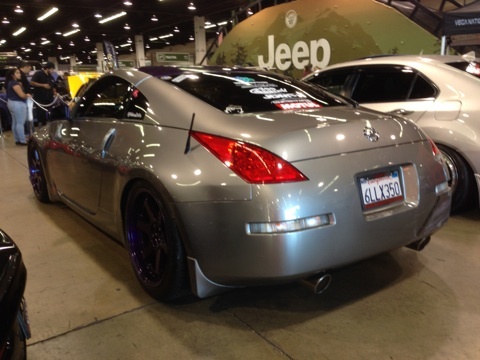 It was nice to see a Z33 Nissan 350Z all cleaned up and show-ready, as the Z33s in nice condition seem to decrease in number every year, sporting a number of modifications including a set of purple deep-dish wheels for 350Z not all of which we could easily identify. 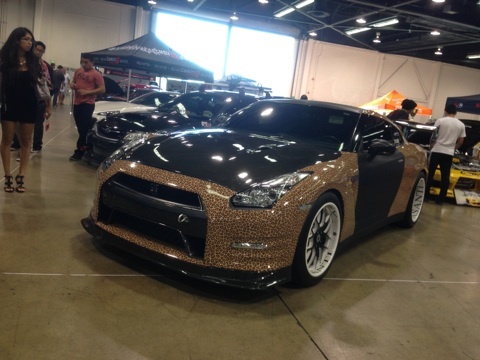 We’re not sure what the thinking was behind the Leapord Print R35 Nissan GT-R, but we have a feeling this car was designed with trolling the haters in mind. 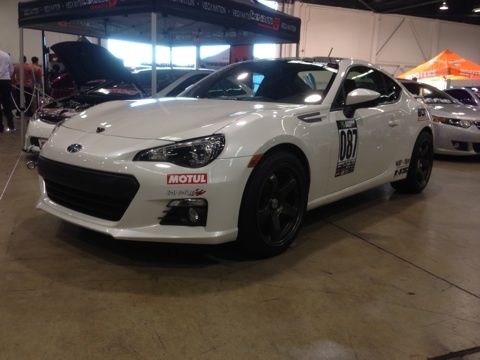 This rally-cross ready Subaru BRZ stands in stark contrast to the other cars it has in its company – the huge wheel gap belies that the intent to put this car in the dirt. We wonder if it has a skid plate or something. 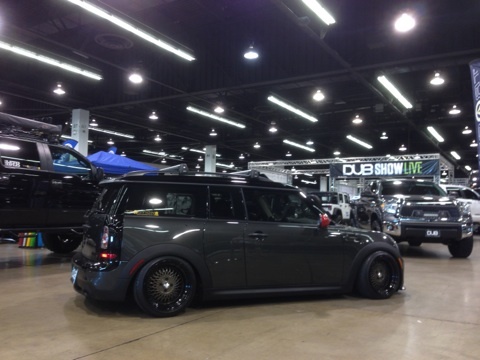 This R56 Mini Cooper Clubman looks awfully familiar… probably because it’s the same car that struts these great looking KLUTCH SL1 wheels, rocking a set of fantastic looking Wheels for Mini. That’s all she wrote, unfortunately, as our camera battery gave out not long after we got there, so we weren’t able to get much more of the show, but we can tell you for sure that on every front, from domestic to Euro to JDM has a great future for 2015. 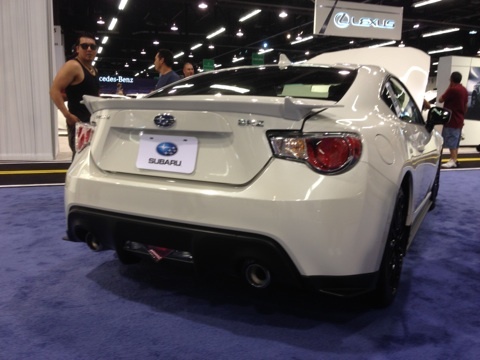 Interested in modifying your car? The Modification Experts at ModBargains are here to help. 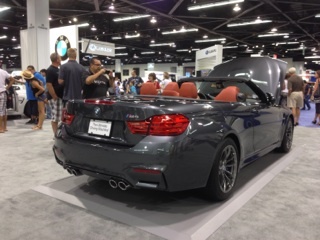 Give us a call at 714-582-3330 – if you’ve got a late model performance car, we can help you take your car to the next level with our expertise and enthusiasm. Talk to an expert today! Get Diffused: What is a Diffuser and what does it do?